In this webinar, Dr. Joyce Pressley of Columbia University and Dr. Aditya Belwadi of Children’s Hospital of Philadelphia, will review what we currently know about the best ways to protect child passengers, including the four phases of child passenger safety (rear-facing car seats, forward-facing car seats, booster seats, and seat belts). Dr. Pressley will describe current and emerging risks to child passenger motor vehicle occupant safety. Dr. Belwadi will share his work on the interface of child passenger safety and new vehicle technologies. Mr. Richard Hamburg, Executive Director at the Safe States Alliance, and an active member of the Children’s Safety Now Alliance (CSN-A), will moderate the webinar. (1) Web-based Injury Statistics Query and Reporting System [online]. National Center for Injury Prevention and Control, Centers for Disease Control and Prevention (producer). [2018 Sep 10]. 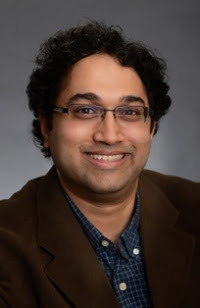 Aditya Belwadi, PhD is a research Scientist II for biomechanics and autonomous vehicle research at the Center for Injury Research and Prevention at Children’s Hospital of Philadelphia (CHOP). In 2011, he received his PhD in biomedical engineering and began his research career at CHOP. As a post-doctoral fellow at the Center from 2011-2013 he was instrumental in developing advanced finite element computational modeling capabilities; as of 2015, he leads the Center’s Child Passenger Safety Research Team and is a certified Child Passenger Safety Technician (CPST). An internationally recognized expert on injury biomechanics, injury causation, and the effectiveness of safety products for children, Dr. Belwadi's research efforts have been funded by the National Science Foundation, the National Highway Traffic Safety Administration, and several corporate entities in the field of automotive safety. Dr. Belwadi has presented both nationally and internationally, and has been recognized by the Society of Automotive Engineers (SAE) for his work. He received the prestigious Ralph H. Isbrandt Automotive Innovation Engineering Award in 2012 from SAE for his work on lumbar spine mechanics. Richard "Rich" Hamburg, MPA is the Executive Director at the Safe States Alliance and is located in Washington D.C. Rich joined Safe States in 2018, and previously served as Executive Vice President and Chief Operating Officer at Trust for America’s Health (TFAH) where he oversaw public policy initiatives, advocacy campaigns, and internal operations. Prior to TFAH, he served as the American Heart Association’s National Director of Government Relations. A native New Yorker, Rich is a graduate of the State University of New York at Albany, from which he received a BA in Political Science and an MPA. Joyce Pressley, PhD, MPH is an Associate Professor of Epidemiology and Health Policy and Management at Columbia University Medical Center. She works with Columbia University’s Injury Control Research Center (ICRC) where she serves as principal investigator of the motor vehicle research grant, co-directs center outreach and education, teaches injury and violence prevention, and serves as a faculty lead for the Columbia University Injury and Violence Prevention Certificate in the MPH Program. 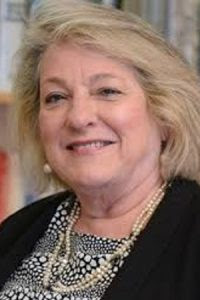 On the national front, she has been active in the leadership of several national injury prevention organizations, including Chair of the Injury Control and Emergency Health Services Section of the American Public Health Association, Chair of the Council of Centers for the Society for the Advancement of Violence and Injury Research (SAVIR) and as Director of Health Policy and Population Health for the Injury Free Coalition for Kids. She currently chairs the Occupant Protection Committee of the Transportation Research Board (TRB) of the National Academies and serves on the TRB Alcohol, Other Drugs and Transportation Committee. She holds a PhD from Duke University.